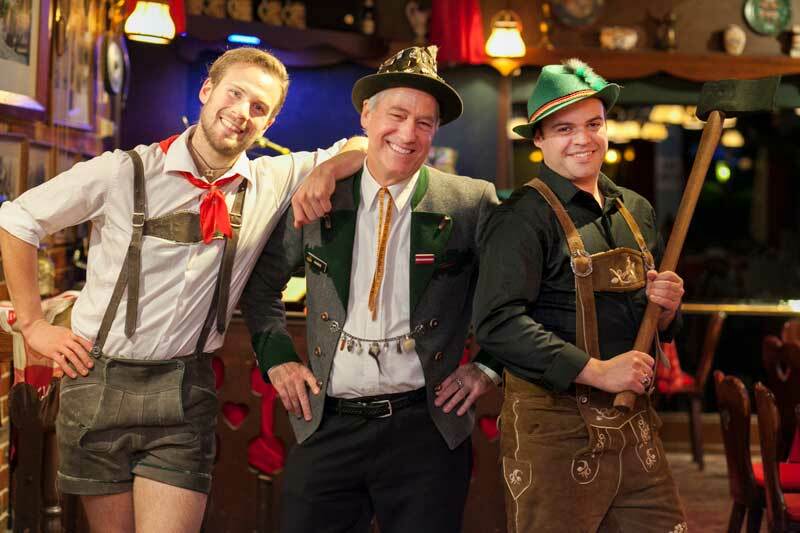 Decorated in the style of a Bavarian chalet with staff in traditional costume, the Cuckoo Restaurant has been attracting visitors from all over the world for nearly 60 years! 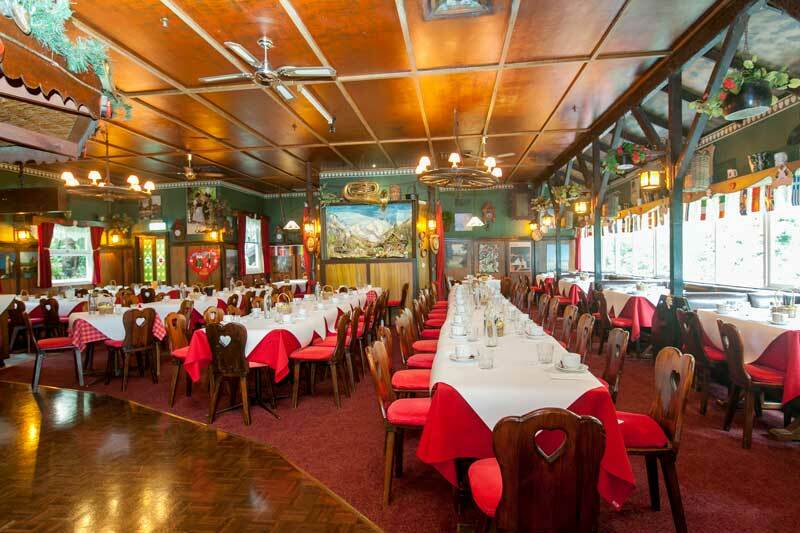 Just 50 minutes from Melbourne in the stunning Dandenong Ranges, offering a delicious buffet selection and live entertainment daily, The Cuckoo is a must-see destination. Wunderbar! The Cuckoo is close to popular tourist destinations like Puffing Billy Railway and Healesville Sanctuary. This buzzing 400-seat restaurant offers a delectable smorgasbord in a warm and welcoming family atmosphere. With an abundance of food to satisfy all, the delicious international smorgasbord is prepared by first class chefs. An amazing range of cakes and pastries is made fresh daily and most dietary needs can be catered for. 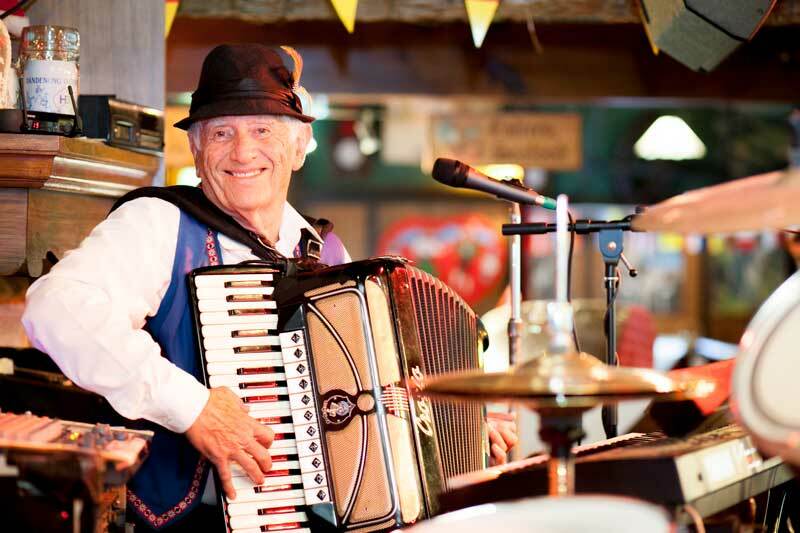 Live entertainment at each session includes: music and a floor show, cow bell ringing and yodelling – equal to any you might find in Bavaria. The Cuckoo also offers wedding celebrations with views of the surrounding mountain ash forest. Receptions are planned and staged beautifully. The Cuckoo is also ideal for tour groups, schools and social group outings. 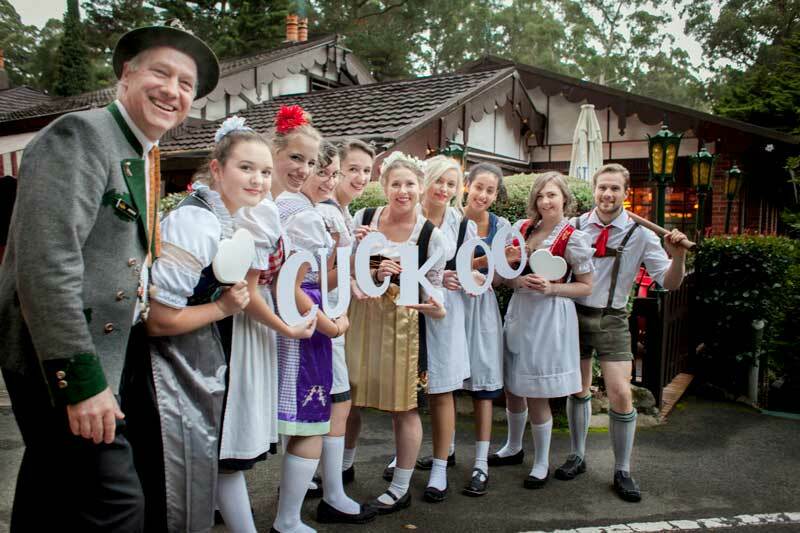 For getaway couples, a family day out or large festive party groups, the Cuckoo Restaurant offers the beauty of the Dandenongs, sumptuous and generous meals plus entertaining events throughout the year at very competitive rates. Bookings are essential.